Do you know one thing that’s just fun? Cupcakes. 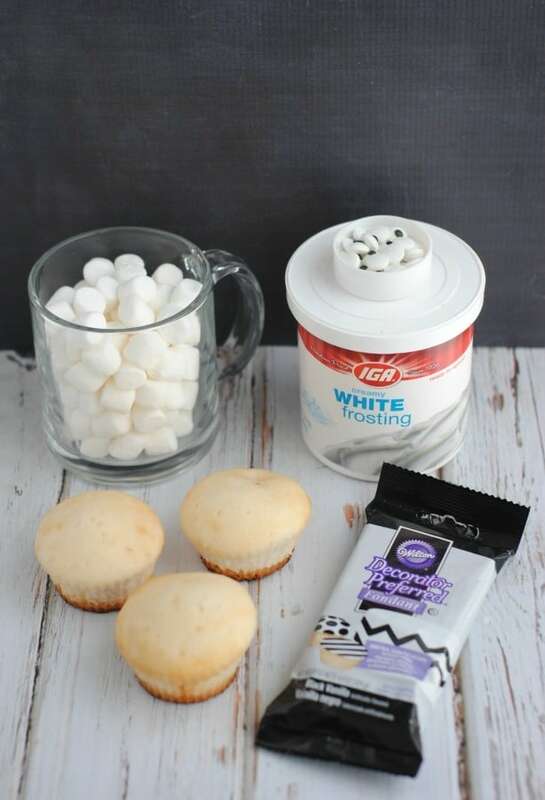 One thing that makes cupcakes so fun is the versatility. You can do anything with a cupcake. Plain, frosted, colored, flavors, surprises, fun character and holiday themes…the possibilities are endless. 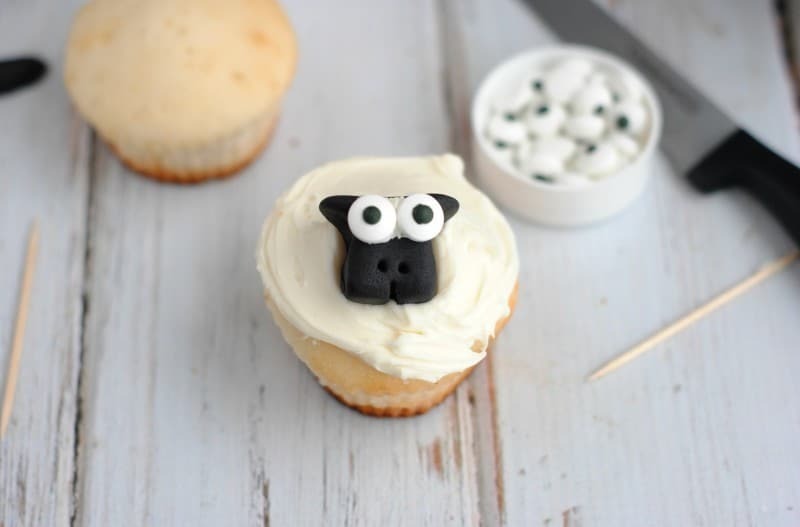 These sheep cupcakes are will make ewe smile and are great for Easter, spring, Communion, Timmy Time, Shaun the Sheep and farm theme parties. Or maybe you just really like fun cupcakes. I won’t judge. 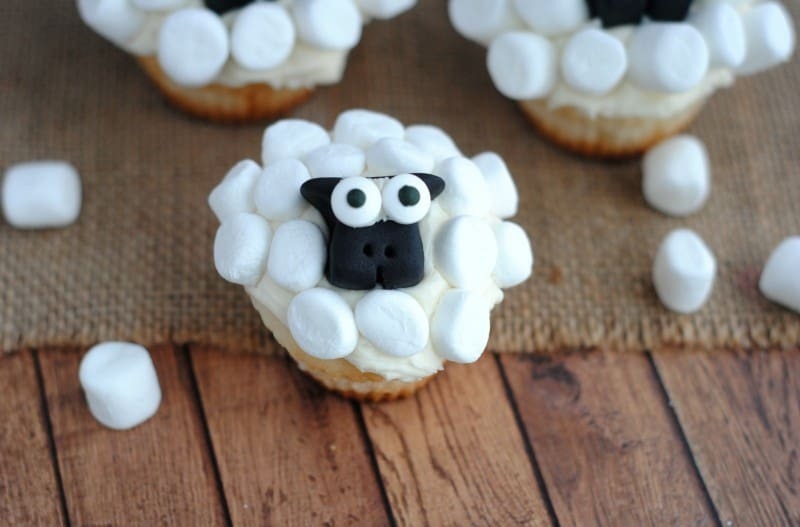 We are making these s-ewe-per cute b-aaaa-aaad boy sheep cupcakes for our Sunday School Bake Sale on Palm Sunday. 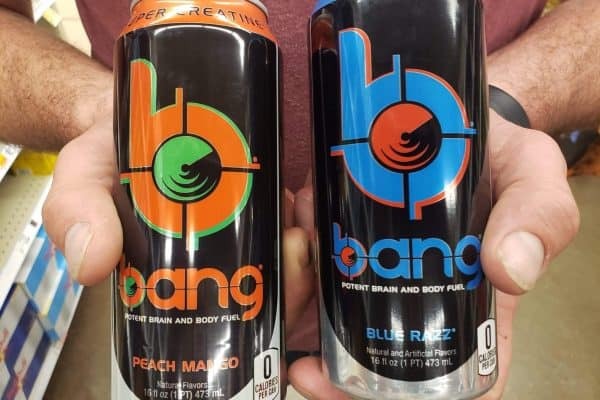 I’m pretty sure they’ll be a hit- what do you think? Cut the black fondant into 1″ squares. Mold the fondant gently pinching the top to make the sheep’s ears (see photo). 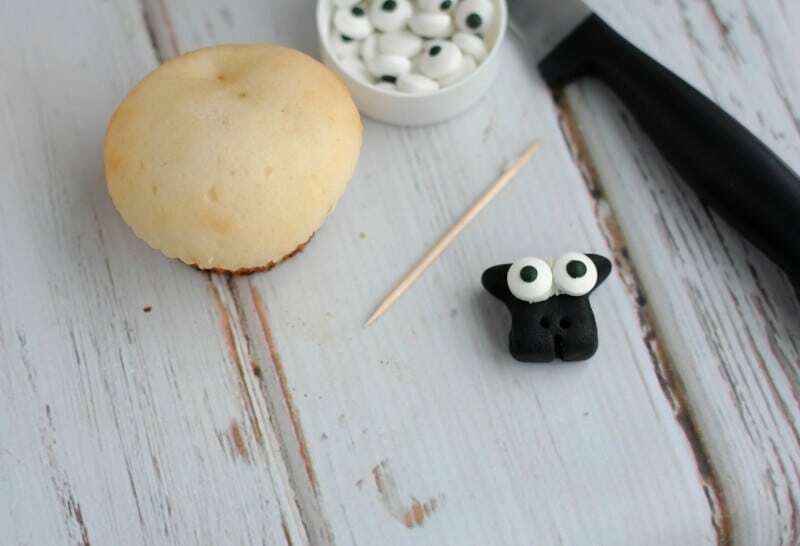 Use one of toothpicks to spread a tiny bit of frosting onto the back fondant and give you sheep 2 eyes. Use another toothpick to make 2 nostrils (simply press the toothpick into the fondant) and then make a mouth. Place the Sheep’s head on the cupcake and gently press the mini marshmallows into the frosting surrounding his head working your way to the outer edges of the cupcake. Love Easter fun? Check out our Bunny Crunch and Lamb Cinnamon Rolls– or Bunny Salad! pinching the top to make the sheep’s ears (see photo). 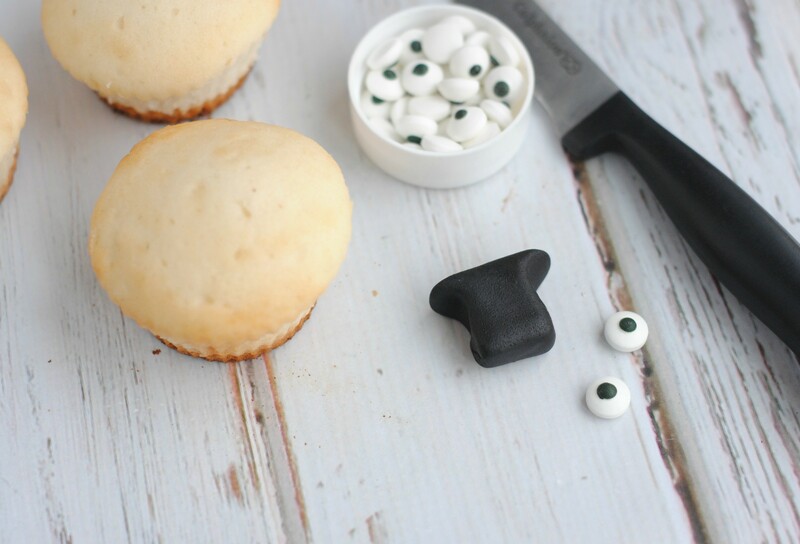 fondant and give you sheep 2 eyes. into the fondant) and then make a mouth. to the outer edges of the cupcake. These are so stinking adorable! 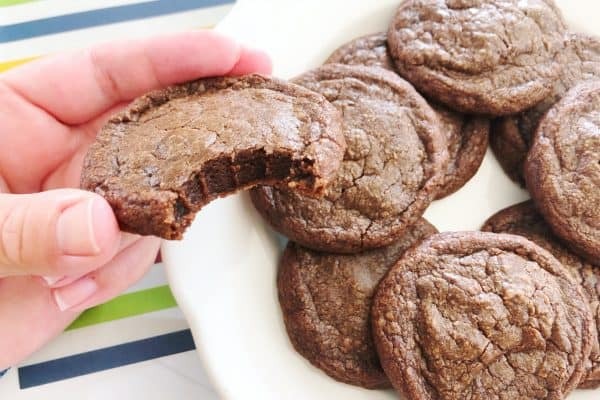 I want to make them right now and I don’t even have a reason outside of their cuteness. Thanks for sharing at Merry Monday! These are super adorable! And they seem really doable, even for those of us who aren’t great at crafting. These are adorable! cutest sheep ever! Oh my gosh! These are just the Cute-ist! Thanks for linking up to Show Me Saturday. Absolutely adorable my daughter would love it! Hi Brett! Totally loving your sheep cupcakes. Such a brilliant and fun little project. Fantastic idea! These are just too adorable not to make, so cute, I love the marshmallows that look like it wool. So cute. These are so cute! Perfect for birthday parties! Oh those are so adorable!!!! I am going to have to make those with Carter!! He just loves when we back fun things! How adorable and so creative. These would be fun to make. What adorable cupcakes! 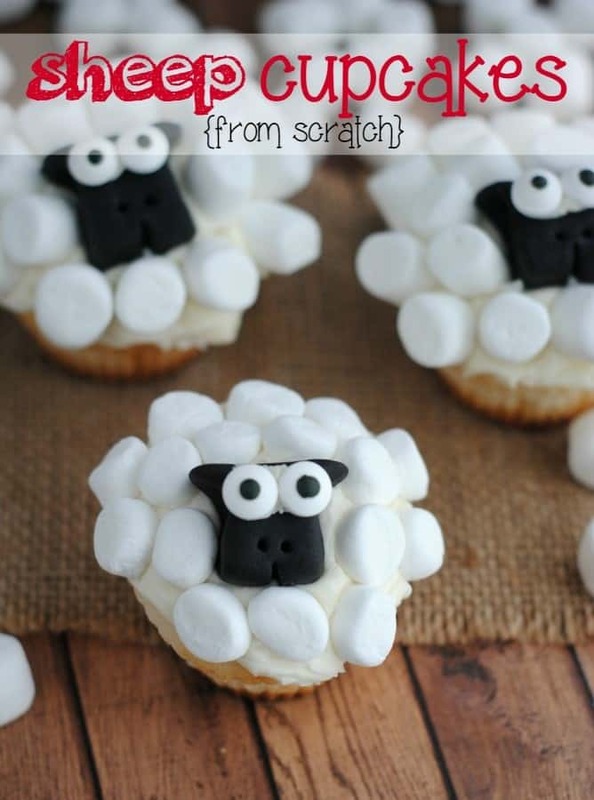 I like how nice these sheep cupcakes turned out and they look delicious and fun to make. 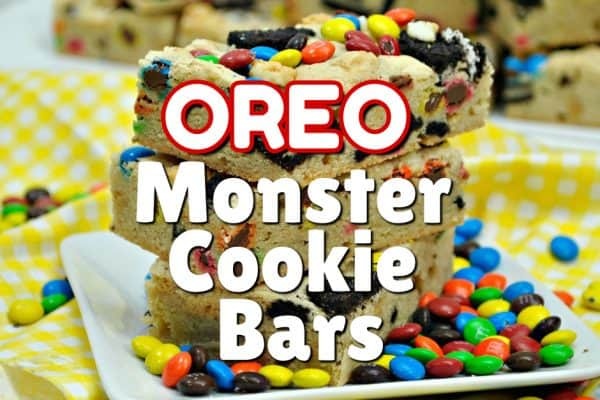 I will have to make these! so cute, and they look easy to do. cupcakes have been the new thing for the past few yrs, with all of the cupcake specialty shops opening up. too bad they have so many calories. cute idea for kids. i see what ewe did there! Super cute! These look easy and fun to make and for a novice decorator. Pretty confident they’ll turn out well.